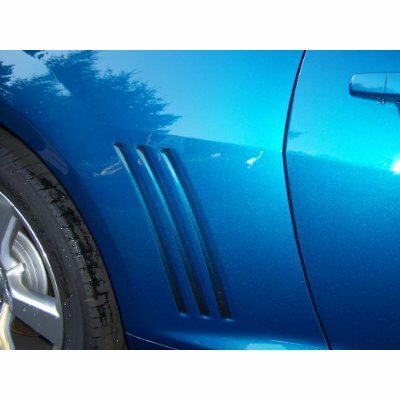 Add that finishing touch and highlight your 2010 2018Chevrolet Camaro's side vents with our unique six (6) piece Black Side Vent Highlight Decal kit that start as a light fade (color of your vehicle shows through the fade) at the front of each vent and fades to solid at the rear as shown in the picture. Thermally printed onto clear premium automotive grade vinyl As an extra step, graphic pieces are over-laminated with a 2.5 mil clear laminate which will protect the graphics from miles of abuse. Side Vent Highlight Decals are precut and fit perfectly - no trimming required!